Be a part of something big for the cats on November 16th! 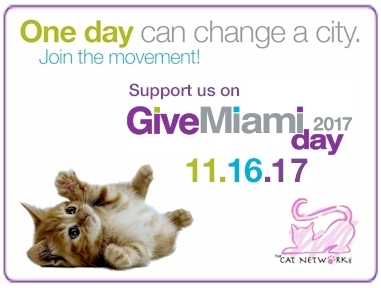 Support The Cat Network on GiveMiami Day 2017. Donations will be maximized by a percentage match!